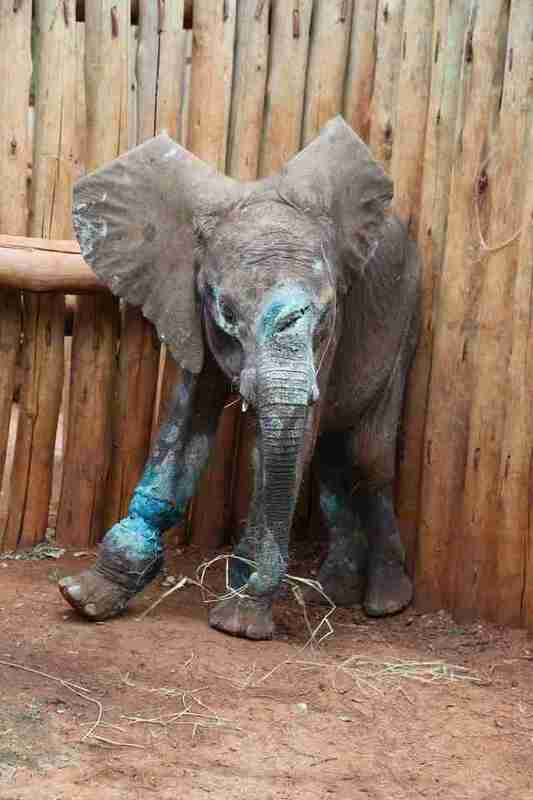 Orphaned Baby Elephant Had Odds Against Him. Now There's Hope. This is Simotua. The shocking wound to his head was caused by a spear. His brutal foot injury was caused by a rope snare. 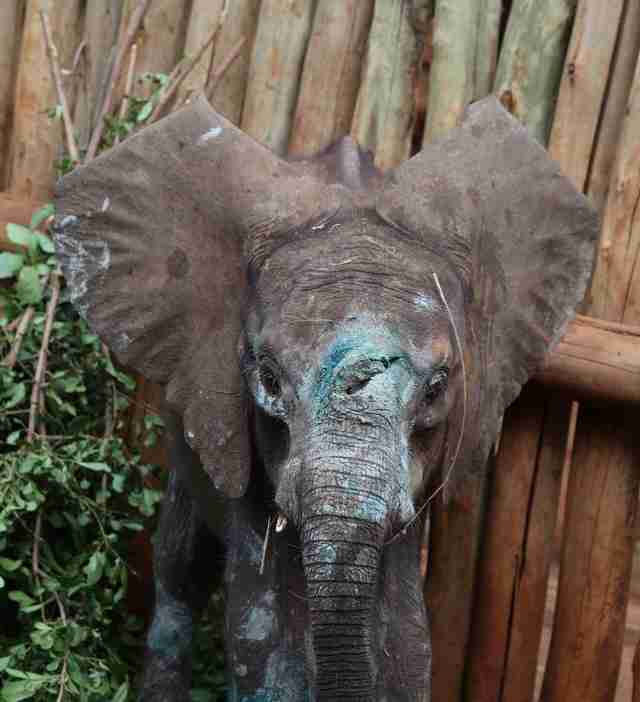 On June 23, we rescued this brave young calf, a tragic victim of elephant poaching, from the Rumuruti Forest in West Laikipia. The management of Simba Farm first sighted him on June 22 and then KWS called for an elephant rescue on June 23. He has a terrible injury to his leg caused by a rope snare, and then, as if that was not enough suffering for one so young, he has a deep spear wound in his skull. Estimated to be 15-months old, he is incredibly thin having been without his mother for significant time before being rescued. We have named him Simotua and we hope that with tender loving care and ongoing veterinary attention we can save this unfortunate but extremely brave calf who has gone through unimaginable physical and emotional suffering. We ask you to share Simotua's story, so that his situation might help open people's eyes to the suffering caused by poaching. 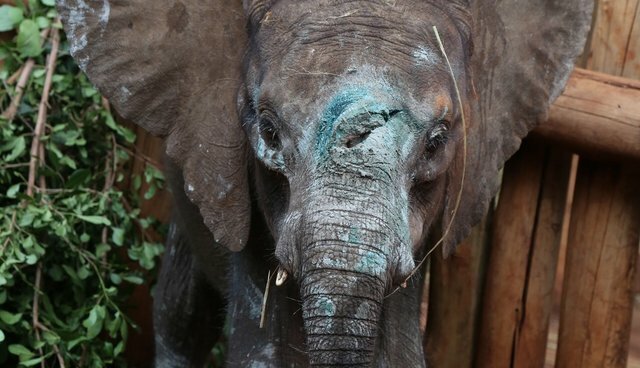 People's desire for ivory trinkets not only claims the lives of elephants, it often leaves infants orphaned and all too often bearing terrible injuries.